In this report, we show top 15 battery friendly devices and top 15 battery killer devices based on average battery lifetime, and distribution of battery lifetime as well as top 15 battery killer applications. Data is reported by users using Battery Stats Plus over 477 Android-based models and 15381 battery statistic reports during last 4 months. A device may report more than once, but it should wait for at least one day for the next report. 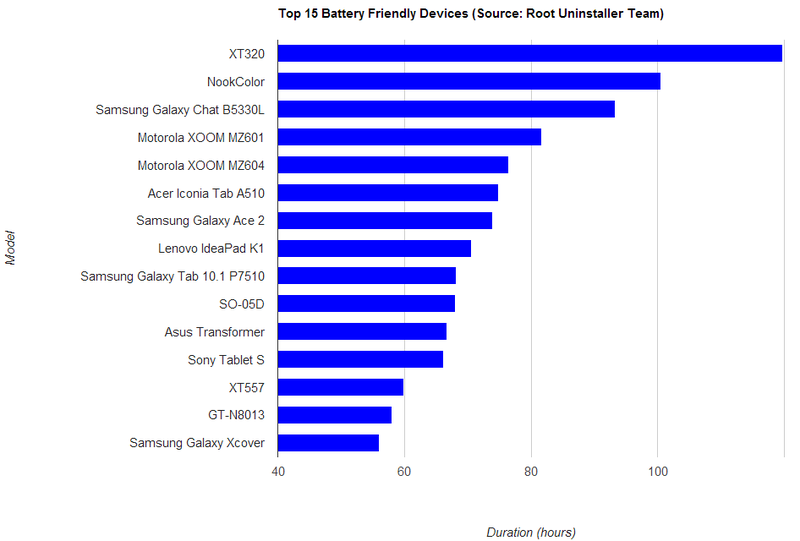 In this report, we aggregated only models which had at least 5 reports for top devices. 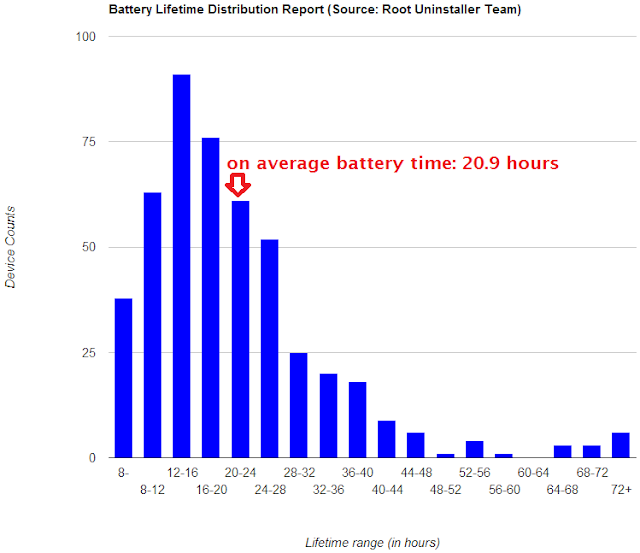 The average battery lifetime is 20.9 hours. Before purchasing a new Android device (or second hand device), this report may be helpful to select a correct device. An average autonomy device lasts 20.9 hours. Interestingly, most energy autonomous devices last in 10-28 hours, some of them last 3 or 4 days. 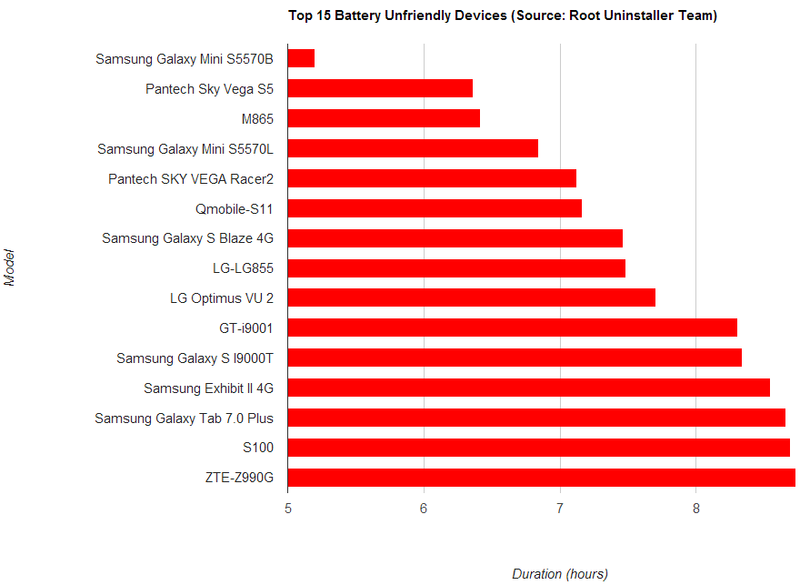 Bellow chart shows top 15 battery killer applications. 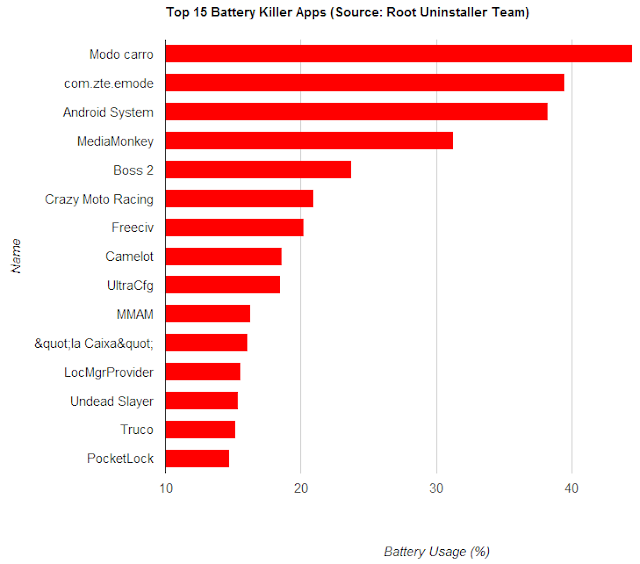 top 15 battery killer applications. Statistic on 202365 applications bench-marked. We are a small developer team focus on Android system tools including Root Uninstaller, Deep Sleep Battery Saver, Smart RAM Booster, 1Tap Quick Bar, 1Tap Eraser. Visit our Google Play profile or follow us on Google Plus page, Facebook page, and Twitter or contact us by email.